Walter Farrington Moses was born in Sterling, born on April 17, 1874. Moses studied at the AIC before settling in Los Angeles in 1923. He taught there at the Art Guild Academy in 1930 and remained in Los Angeles until his death on October 25, 1947. He was the author-illustrator of "Artistic Anatomy". 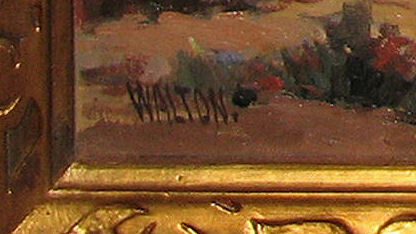 Farrington signed his paintings using various variations of his name, including WALTER FARRINGTON MOSES, WALTER FARRINGTON, FARRINGTON, MOSES, FARRINGTON MOSES, W.F. MOSES and WALTON. Walter Farrington Moses biography courtesy Edan Hughes "Artists in California". 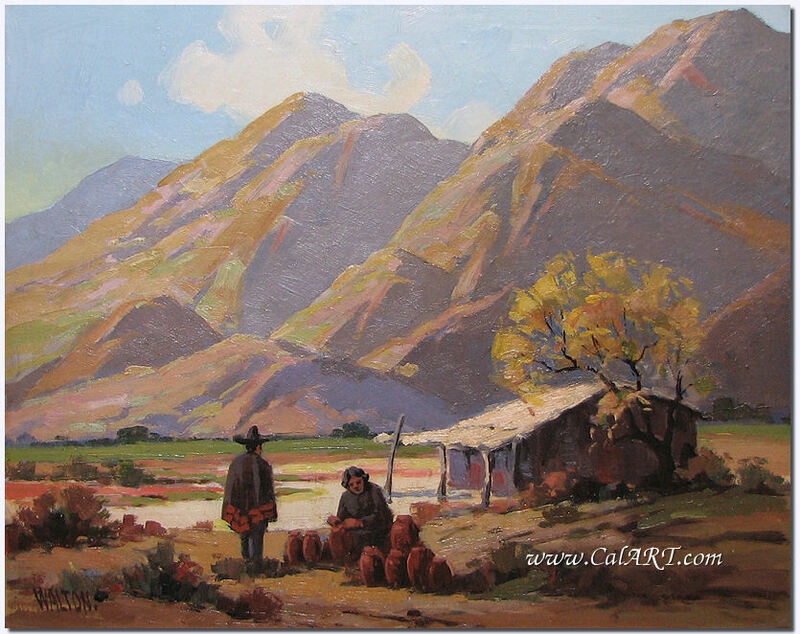 Circa 1930s oil on canvas by California Plein Air Painter Walter Farrington Moses. 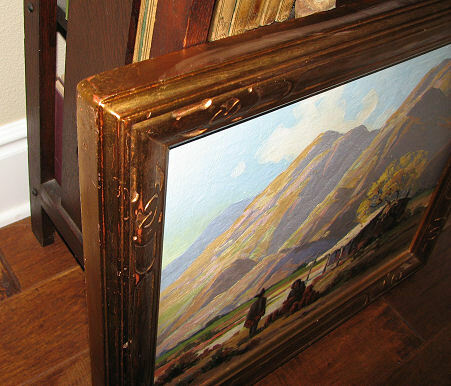 Painting is in a period hand carved frame & signed lower left "WALTON". This painting is part of a collection of Walter Farrington Moses works that I purchased several years ago directly from the Walter Farrington Moses family. It is a rare example of his work in that it features figures and is not a straight landscape. 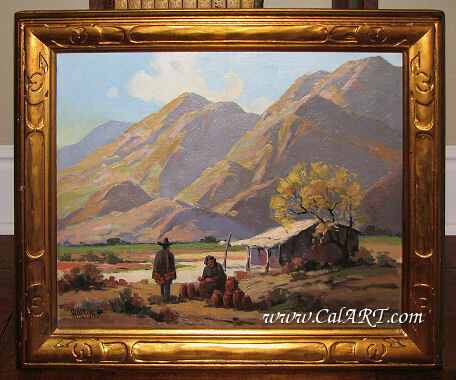 The painting measures 16" x 20" (21" x 24" overall) and is in excellent condition, frame has original finish/patina and is also in good condition.